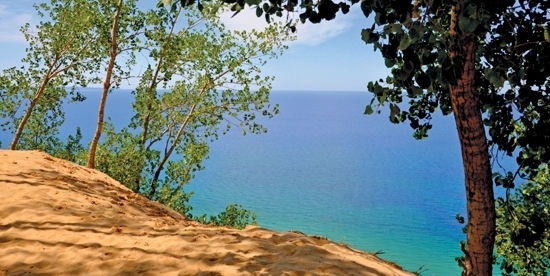 (Traverse City, MI) — MyNorth Media (publisher of Traverse, Northern Michigan's Magazine and MyNorth.com), has just released Beautiful Sleeping Bear Dunes, a gorgeous photographic book capturing the serene and evocative beauty of Sleeping Bear Dunes National Lakeshore, recently voted "Most Beautiful Place in America" by ABC's Good Morning America viewers. Beautiful Sleeping Bear Dunes was a collaborative effort on the part of MyNorth Media staff, and is truly a testament to the beauty of Sleeping Bear Dunes and the people who love this nationally recognized national park. "At MyNorth Media, we've written about and photographed Sleeping Bear Dunes National Lakeshore for three decades," says Deborah Wyatt Fellows, Editor-in-Chief and founder of Traverse Magazine. 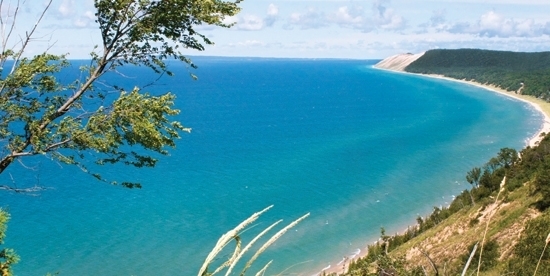 Heartened to share the splendor contained in Beautiful Sleeping Bear Dunes, Fellows continues, "but our connection to this breathtaking and globally significant expanse of dunes, water and islands goes much deeper than a professional interest. We know this landscape intimately, and we never cease to be enchanted by it– an emotion we're confident you'll share as you enjoy the pages of Beautiful Sleeping Bear Dunes." A light-weight, soft-cover book slightly larger than a magazine, Beautiful Sleeping Bear Dunes makes the perfect companion piece to take on your next Sleeping Bear Dunes visit. 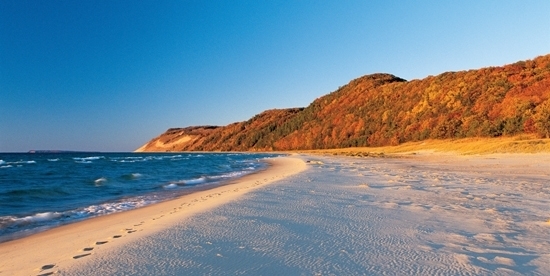 Organized by regions, Beautiful Sleeping Bear Dunes takes readers on a journey of Sleeping Bear Dunes that reaches as far north as Glen Arbor and Leland, extends south of Empire and includes the Manitou Islands. 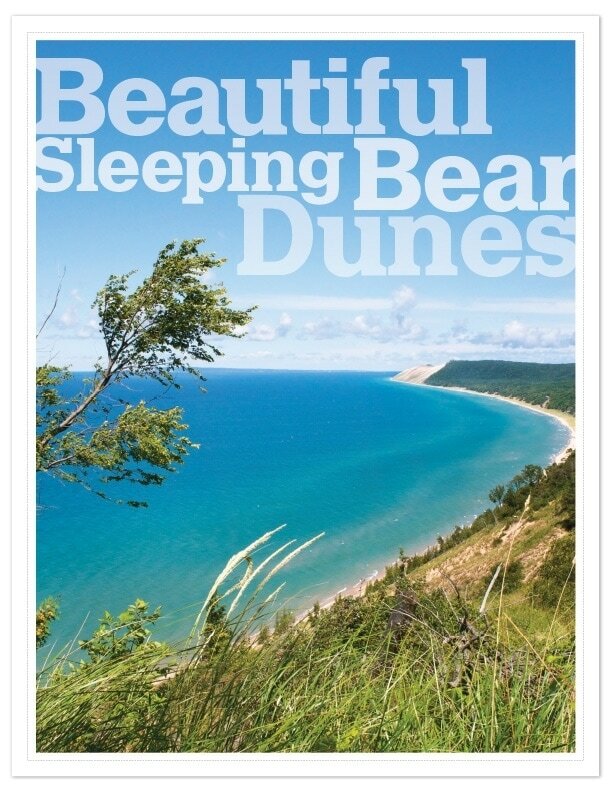 A detailed map and descriptive captions ensure a thorough and meaningful experience of Sleeping Bear Dunes, whether using Beautiful Sleeping Bear Dunes as a guide at the Dunes or enjoying it as a souvenir at home. Large, full-color photographs from every season, many spanning both pages, bring the vibrancy of Sleeping Bear Dunes to life. Readers will find photographs of iconic scenes like DH Day Farm and the Dune Climb, and take delight in hidden gems like the beach at the end of the road in Point Oneida. "Whether you are new to this national park or are as familiar with it as we are, let Beautiful Sleeping Bear Dunes inspire you to strike out and revel in the dramatic and evocative landscapes of Sleeping Bear Dunes National Lakeshore," encourages Fellows. Also from MyNorth Media: the DVD, Journey into Sleeping Bear Dunes– a 45-minute video immersion into moments, both grand and intimate, that captures the essence of Sleeping Bear Dunes National Lakeshore. To order Beautiful Sleeping Bear Dunes, Journey into Sleeping Bear Dunes or the Beautiful Sleeping Bear Dunes Package, which includes both of these breathtaking MyNorth Media products, visit MyNorth.com/Store.